You feel your life drifting away out of control. something for leisure, pleasure or necessity. and often half-way through a 'hit' of plastering (not recommended). summon it up no matter how hard I tried. prescribed anything other than rest I assumed it was nothing to worry about). night-sweats and literally feeling like I was dying. "You 'Are' taking your Levothyroxine tablets aren't you?" thyroid gland and you are supposed to be taking them daily". prescription to be set up immediately so that I couldn't fall victim to it again. I got back to my Dr, told him the story, and he said "OH Yes - so I see"
just the prescriptions, six months worth at a time. easy to take it for granted until it's almost taken from you. not choosey WHO it hits. The problem is, it hits Out-Of-The-Blue and with no warning signs. Just click the image or link below to grab YOUR copy right Now! can avoid a degradation in their quality of life. 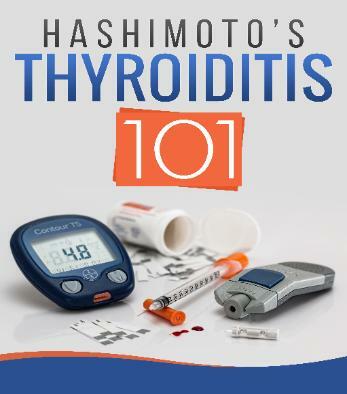 and the effect of Hashimoto's Thyroiditis on the thyroid itself. Wishing you a 'Healthy' future .... Pete Moring.